Inspector Vera Stanhope, large and shabby, has been shamed by her doctor into taking exercise in the form of a daily swim. Her main concern is how to avoid anyone she knows seeing her. Hence, much to her own disgust at herself, she has joined an upmarket hotel's health club some way from her house and work. One morning she goes into the sauna as usual after her eight-length exertion and discovers the dead body of a fellow guest. Charging into action with bags more enthusiasm than she is able to summon up for her enforced exercise regime, Vera soon has her team, including her trusty sergeant Joe Ashworth and her less admired younger colleague Holly, interviewing guests and staff at the club. 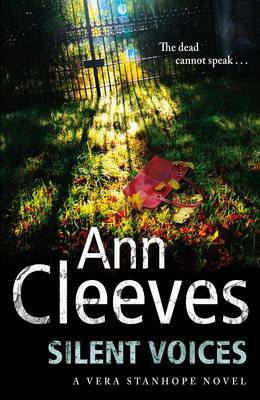 She herself quickly identifies the dead woman as a social worker who lived in a nearby village. Vera has been told by her (absent from the novel) superiors that she should manage investigations, not take an active part in them. Unable to agree with this view, she visits the dead woman's house and breaks the news to her 18-year-old daughter Hannah, who is distraught. Hannah is comforted by her fiance Simon, a student whose family home is nearby. The reader has earlier been introduced to Simon's mother Veronica, a rather frigid, elegant lady of the manor and bastion of village society. In this context, Veronica has oversight of the local playgroup, and in the process has discovered that one of the mothers, Connie, was previously a social worker involved in the death of the child of one of her clients. Connie was blamed in the subsequent enquiry, so has retreated to the village to get away from all the media attention. As soon as Veronica realises who she is, she makes Connie the centre of gossip and all the other mothers at the playgroup ostracise her. Connie is miserable but does her best to protect her young daughter Alice and ride out the storm. Vera soon discovers connections between all these people, for example that Connie's supervisor at work was the dead woman, though Connie tells Vera that she did not realise they were neighbours. Vera is unclear as to whether the murder is related to the health club (did the victim disturb a thief?) or to the woman's life outside it, or both. One thing is clear, many of the characters here are women without men - single, divorced, abandoned, or with partners who are always away. We become privy to loneliness and quiet suffering as Vera, Joe and Holly, despite the tensions in their interplay and their clashing styles, gradually uncover more and more about the past and hence why the crime was committed. SILENT VOICES is a readable novel, telling a very good narrative in which the characters really come to life. Vera seems to be able to run her investigation exactly as she pleases with no interference from above, which certainly adds to the pace of the story even if reality probably isn't entirely like this. In the end, elements come together in a clever, if not very likely, climax. All in all, this welcome addition to the Vera Stanhope series is a showcase for the strengths of the author in getting under the skin of apparently ordinary people, and conveying the intense passions that have simmered for years beneath an apparently normal surface. Read another review of SILENT VOICES.